I’m taking the SHARKS advice !!! | The Solar Nerd. I’m taking the SHARKS advice !!! When the members of my local Rotary club here in Wesley Chapel learned that we were appearing on Shark Tank they arranged a viewing party at a local restaurant. My fellow Rotarians also promoted the heck out of it and gave me a ton of LOVE and encouragement. 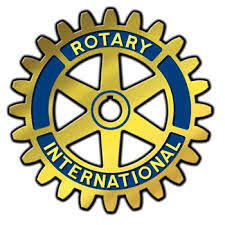 If you own a business I would strongly encourage you to find a dynamic Rotary club in your area and check it out, Rotary made me a better human being as well as a better entrepreneur. EVERYONE showed up, there were 200 people there, we packed the place. This morning as I write this I am so darn grateful, it was an AWESOME night. I filmed the episode in LA back in September, on the flight home I filled 3 pages of notes with feedback from the sharks, I was in front of them for over an HOUR, so they gave me far more advice than you saw on the show. Valuable advice, from super successful people. We’ve been doing EVERYTHING the sharks recommended, I brought on a great CFO (who is in Rotary) and formed an advisory board (again, all Rotarians). We’ve been recruiting business majors from local colleges, exactly what Mark Cuban suggested when I pitched him 4 months ago. Balloon Distractions needed better organization, and an organized leadership team that we have now has been working hard to make this a BETTER run company, and a BETTER opportunity for those who join us in the future. Our mistakes in the past were a function of my lack of organization, and I take full ownership of that. The work is just beginning. There are people out there who are looking for a great opportunity and we have that. The leadership team is ready, the publicity is there, now we’re getting to work we’re really gonna GROW this thing! Ben Alexander January 18, 2014. ← SHARKS! …. in balloon hats.